At the age of 15, she sang with the Southwestern Michigan State Choir as a lead singer under the direction of the late Mattie Moss Clark. 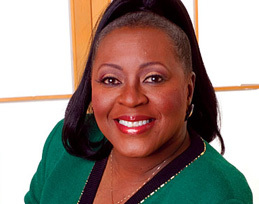 After relocating to Chicago, Illinois and recording with several groups and church choirs, the Lord directed Leanne to the Grammy Award winning Reverend Milton Brunson and The Thompson Community Singers The Tommies”. As premier lead vocalist, she had countless No.1 songs with The Tommies. Some of these included The Holy Ghost, Waymaker, Guess You’re Wondering, Just a Prayer Away, just to name a few. "'The Holy Ghost' is my personal testimony", Leanne states. "For it is the power of God that has caused me to be where I am today. He truly is a 'Waymaker'. I am a living witness as to what The Holy Spirit can do. The more I dedicate my life to God's plan and purpose for may life and stay in His Word, the more He blesses me to keep going on." For Leanne Faine music is more than an adventure, more than a passion, it is a ministry. With her strong vocals and explosive style, thousands continue to be blessed by her music. Leanne released her self-titled debut in 2001 followed up by her sophomore release "The Conqueror" in 2006. 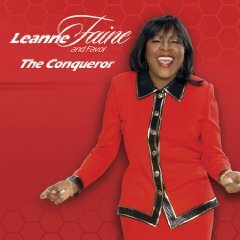 On "The Conqueror," Leanne "Holy Ghost Power" Faine strikes again with another up-tempo traditional-sounding gospel shouter. The track is reminiscent of Faine's energetic workouts with the Thompson Community Choir, but this time her backing ensemble is Favor, a group of men and women who respond to her calls with an almost athletic prowess. If you are listening to "The Conqueror" while operating a motor vehicle, be sure to watch your speed limit, as you will surely have quickened your pace when this one comes on the radio or CD player!